The singer presented his film about life for the impoverished children of Liberia as part of Britain's Red Nose Day telethon on Friday. Ed Sheeran dug deep during his recent Comic Relief trip to Africa, paying for a hotel to rescue six children from abuse. The singer presented his film about life for the impoverished children of Liberia as part of Britain's Red Nose Day telethon on Friday and then revealed he couldn't just shoot the footage and chat to the kids, many of whom had been raped and beaten. In one touching clip, he sobbed as a young girl called Peaches, who had lost her father during the Ebola crisis sang to him. "The last thing I always wanted this trip to be was a celebrity that comes to Africa and cries on TV," he said. "I really wanted to come away saying everything is positive and everything is great and then I was just singing with that girl and she was all smiling and then she started crying. "Her dad taught her how to sing and she got really choked up about it. I watch Comic Relief every single year and this is always what celebrities do." 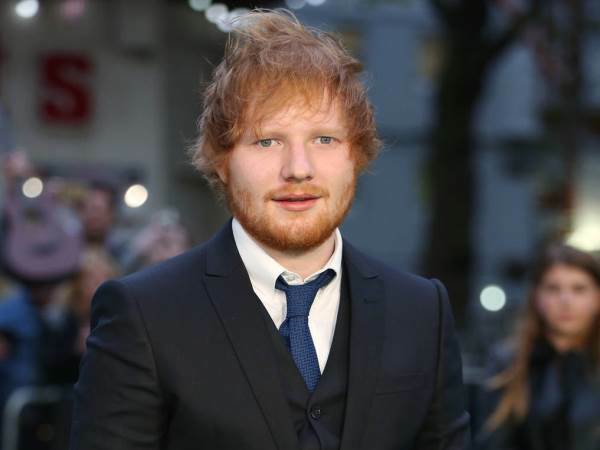 Viewers watched as the emotional Shape Of You singer, 26, fought back tears and debated what he could do to help the troubled desperate, young Africans after meeting a young boy being beaten by an older man. He opted to pay for the boy and his five friends to be housed in a nearby hotel and schooled. "It doesn't matter how much it costs," he said. Earlier in the evening, Sheeran got this year's Red Nose Day telethon off to a great start by kissing comedian Greg Davies after the funnyman insisted Comic Relief rules stated the event's musical guest had to kiss the tallest host.